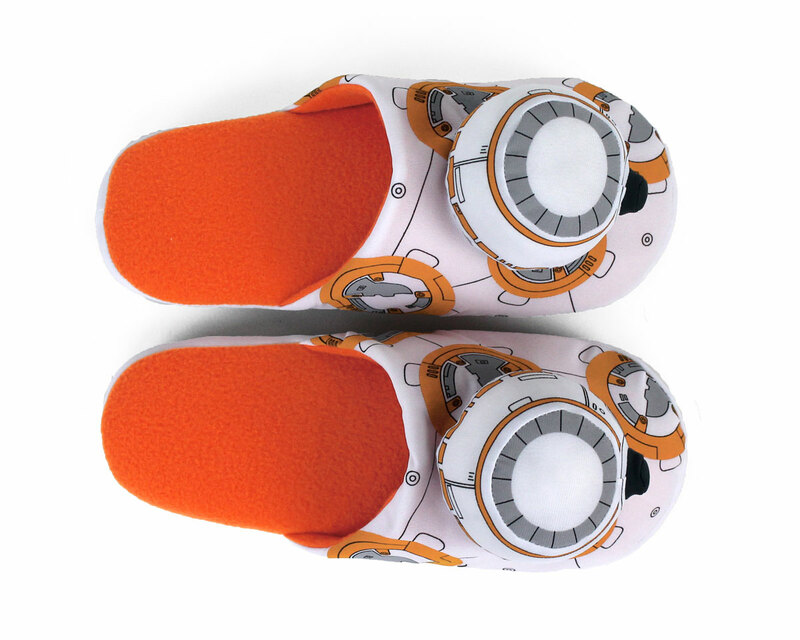 When you power up your T-70 X-wing fighter, you’ll need to have a pair of BB-8 slippers for technical support. 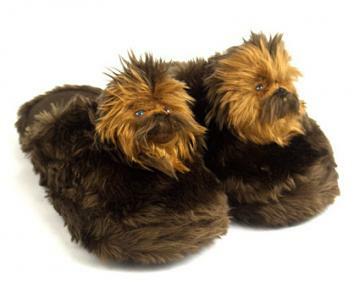 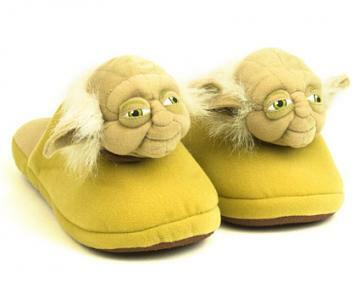 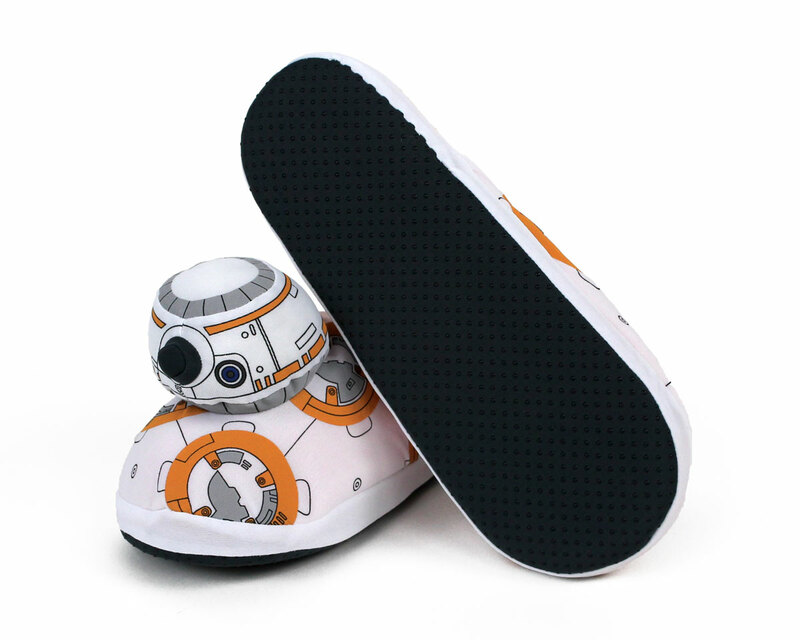 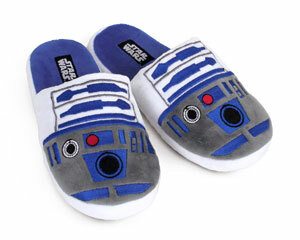 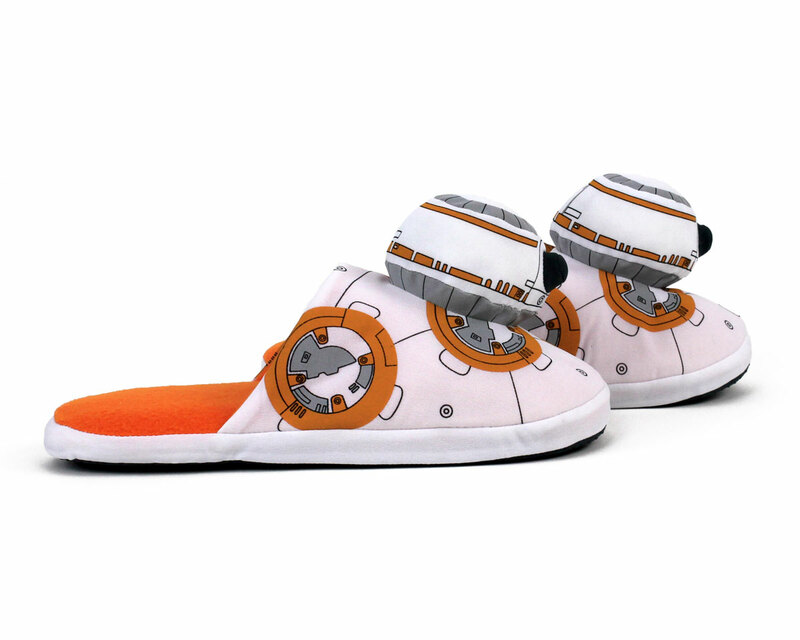 These cozy slippers have the gears, photoreceptor, and domed head of the loyal astromech droid. 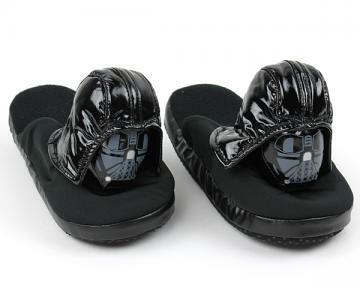 Your feet will now be able to resist cold and the dark side! 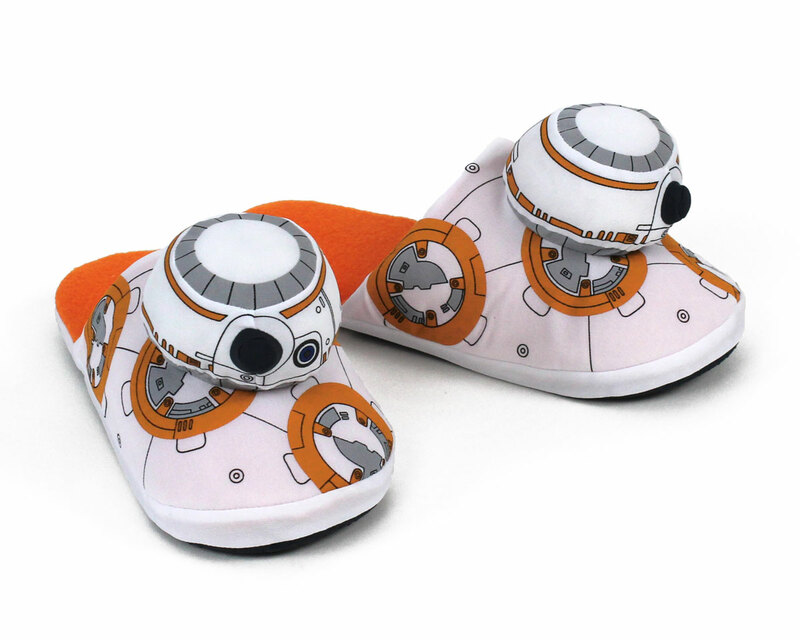 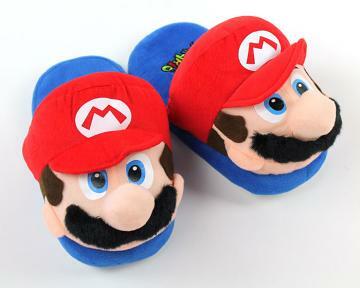 Made of printed polyester fabric, fuzzy orange lining, and soft foam footbeds, with non-slip grips on soles.